Working with the University of Newcastle, Holly designed and built a brand and website for the Space-Time Concerto Competition. The project encouraged unique collaborations between a wide range of performers and artists giving rise to innovative new works. We ran a tactical media workshop with the university and the external PR team to generate ideas, map key objectives and user stories. We also linked the team with possible new strategic government partners. 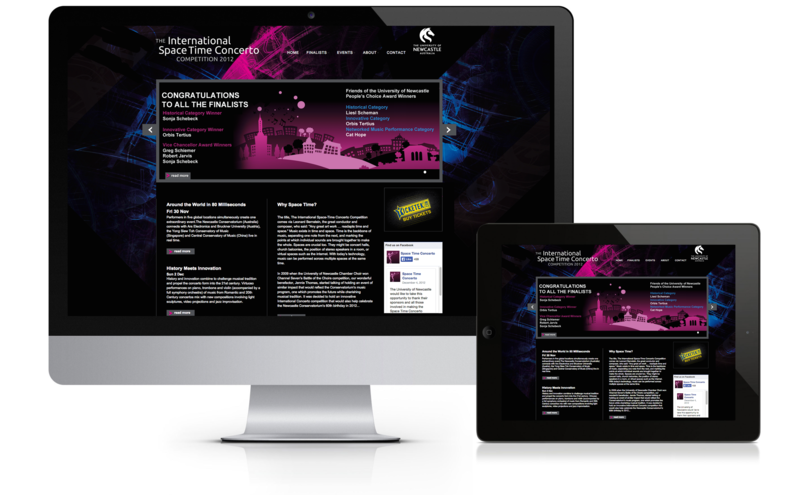 Further utilising our extensive experience with Drupal, we built the website in a responsive theme delivering the best experience across platforms to the varying user base.